The Commonwealth Parliamentary Association (CPA) on Tuesday urged the international community to come up with urgent actions to resolve the humanitarian crisis of Rohingya people, reports UNB. The CPA made the call in a statement unanimously adopted by its 63rd general assembly in Dhaka. It called on all commonwealth parliaments and parliamentarians to condemn the atrocities, oppression, ethnic cleansing, displacement and all the gross violation of human rights, including the loss of innocent lives in Rakhine, Myanmar. 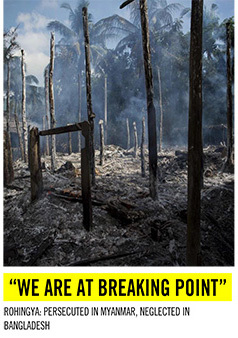 The CPA annual conference also urged Myanmar to stop the violence and practice of ethnic cleansing in Rakhine immediately, unconditionally and indefinitely, and ensure the sustainable return of all the forcibly displaced Rohingyas sheltered in Bangladesh and other countries to their home in Myanmar. 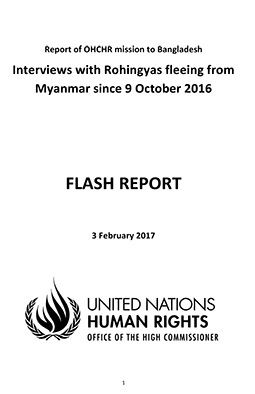 It also called upon the Myanmar to implement the recommendations of the Advisory Commission on Rakhine State immediately, unconditionally, and completely.The general assembly also urged the Commonwealth member states to request Myanmar to take urgent measures to ensure the sustainable return of forcibly displaced Rohingyas and internationally and externally displaced Rohingyas to their homeland in safety, security, dignity and with guaranteed livelihoods. In the statement, it appreciated the efforts of Bangladesh government, particularly prime minister Sheikh Hasina, for her decision to open the country’s borders to Rohingyas and help some one million distressed Rohingyas with shelter, food, sanitation, water and medical attention. Following requests from commonwealth MPs at the Bangladesh foreign minister’s briefing on Sunday last, the CPA placed the statement in the general assembly of the Commonwealth Parliamentary Conference. Bangladesh urged the CPA members to persuade their respective governments to cosponsor and support the 3rd committee resolution which is expected to be voted in the United Nations on 14 November next. Rohingyas wait to receive humanitarian aid at Balu Khali refugee camp near Cox`s Bazar on 27 October, 2017. Photo: ReutersCPA secretary general Akbar Khan read out the statement and some delegates made their remarks before the adoption by vote in the general assembly. Despite proposals from many commonwealth lawmakers, the CPA could not place a resolution on Rohingya issue in the general assembly due to legal obligation and time constraint. During the briefing of Bangladesh foreign minister AHM Mahmood Ali, the Malta speaker first proposed focusing on the Rohingya issue in the general assembly.Taking floor in the general assembly, Malaysian MP Mohd Hatta Md Ramli thanked the assembly for the adoption of a strong statement on Rohingya issue. He proposed that a CPA delegation, led by its new chair, should be sent to Myanmar, and convey the assembly’s message to the Myanmar government. 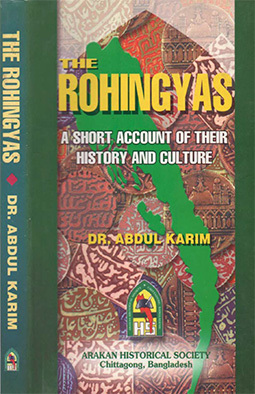 He also suggested a CPA team visit Cox’s Bazar to see the actual scenario of Rohingyas who fled persecution in Myanmar. Belize National Assembly speaker Laura Tucker-Longworth Obe said there was absolute support in favour of the statement in the assembly. Besides, the general assembly agreed on 24 agenda on different issues. With the general assembly, the main round of the eight-day Commonwealth Parliamentary Conference concluded. Though the conference is scheduled to end on Wednesday, there is no programme scheduled for the day except departure and optional tours of the delegates.